I’ve decided to put a thread up here because I get quite alot of questions about this from people interested in doing the conversion, so rather than keep having to re-do it all in PM’s, i’ll stick a thread up here and I can just link them. 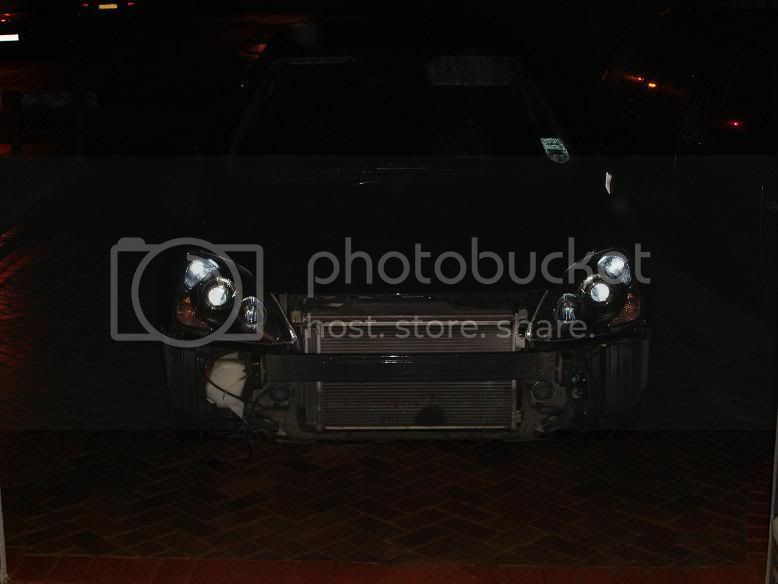 Then remove the old headlights, its fairly obvious where all the bolts are which hold these in. I have a list of part numbers and prices of bits which I used for the conversion, they are as follows. The reason I say the last bulb holders are optional is because some people reckon you need to buy them and modify them to hold the HID bulbs in, personally I don’t think its necessary, I never used them on mine and they are held in fine just by slightly bending the metal clips. Now for the wiring, when you offer the new lights up you will notice straight off that the plugs for the indicators are different, so far as I know you can’t buy new ones from honda seperately (without the loom!) so I went to a scrapyard and found some suitable ones from another vehicle (just take the bulb holder down with you and have a root round) Same with the plugs for the new main beam (HB3) bulbs, you will need to be a little creative here when sourcing these parts. The Side lights plug straight on, as do the headlight adjustment motors, but helpfully the plugs for these are part of the same loom, so because the adjustment motors are in a different position on the facelift lights they don’t reach! Easiest thing to do here is to cut the two wires for the sidelight plug and extend them by approx 8 inches so they reach. 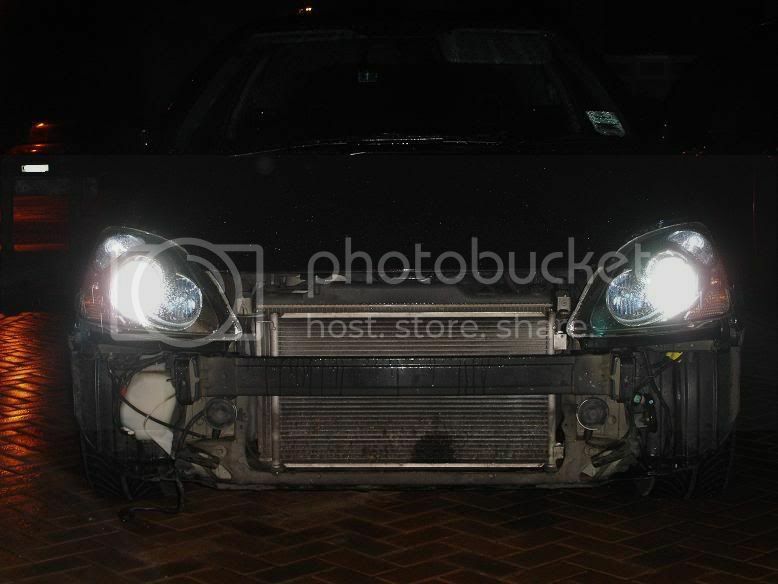 Next up, you need to modify the original car headlight wiring, because we’re changing from an H4 Hi/Lo bulb for both headlights and main beam, to seperate bulbs. You have to do this otherwise when you go to full beam the projectors will go out, which is not only rubbish for driving with, but also an MOT failure. You need a standard 4 pin switching relay, a couple of reels of 8amp cable, an inline fuse (or, as I have done, a relay with integrated fuse) and a few various spade connectors. All available from halfords. I’ll assume we’re using HID’s here, if you’re not the wiring is the same, but instead of connecting the wires to the HID ballasts, you’ll simply be connecting them straight to the H1 headlight bulbs. Once you’ve done that, the wire which is an Earth when you’re on headlights is not needed (as these will now be permanently earthed) so you can tape it up and forget it. On the passenger side, find a suitable place to mount the relay. You wire up pin 30 of the relay to a permanent feed from the battery (Via an inline fuse holder if you don’t have a fused relay) and pin 87 to one side of your mainbeam bulb. On pin 85 you wire in the live feed from the cars original wiring plug and also piggy back this off the positive side of your HID ballast. Pin 86 goes to an earth. Terminal 87 goes to one side of your main beam bulb the other side of the main beam bulb goes to the switchable main beam earth from the original car loom. The other side is only ever so slightly different – identify which wire is which again from the cars original plug, wire in the live to the positive side of your HID ballast (the other side goes to a permanent earth as above) the switchable main beam earth goes to one side of the HB3 main beam bulb, and for the other side of the main beam you bridge a wire across from Pin 87 on the relay. for clarity and ease of reference i’ve included Mr Bilko’s wiring diagram here. Once you’re satisfied everything is working refit the headlights and bolt them in – you’ll have to use the metal bars off the bottom of the old lights – they fit straight onto the new lights – and refit the bumper. Thats about all I can think of for now, but I will review it later and see if i’ve missed anything. I got mini spade connectors and some 8amp wire and a cripming tool/wire strippers from halfords and bullet connectors to join and extend wires. put the mini spade connectors on the pins of the hb3 full beam bulb and the indicators then taped them up to water seal them and keep the cables from coming off.